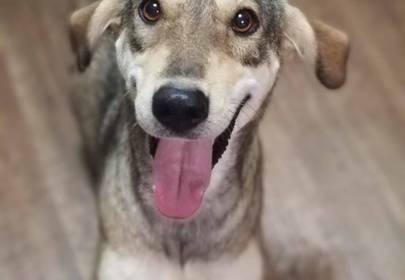 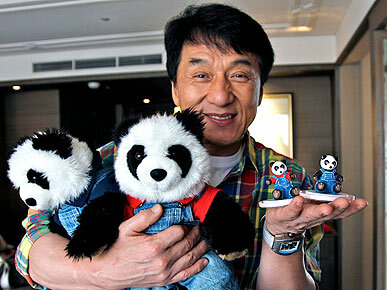 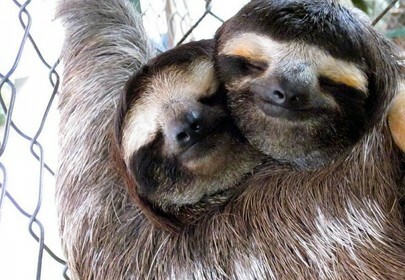 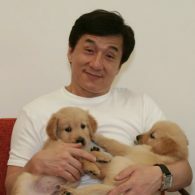 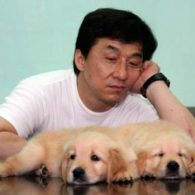 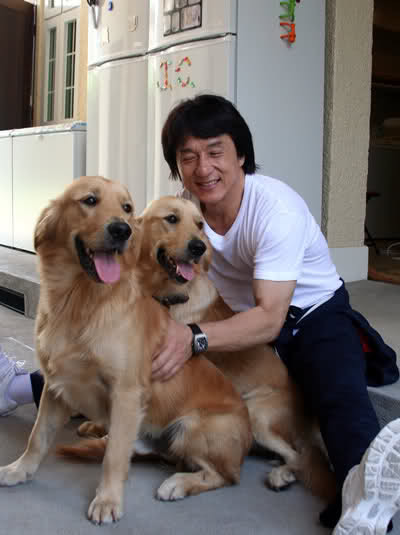 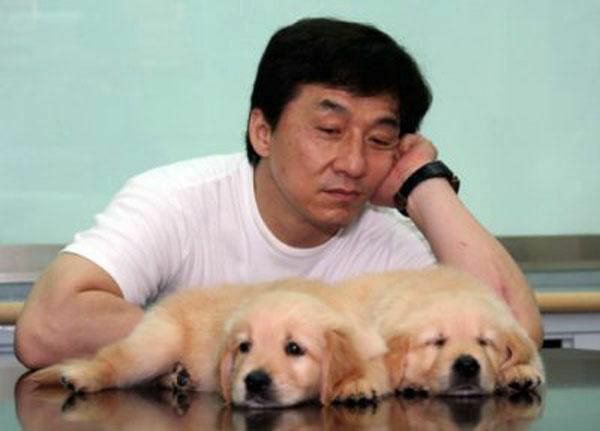 Jackie Chan is a serious campaigner for humane treatment of animals. 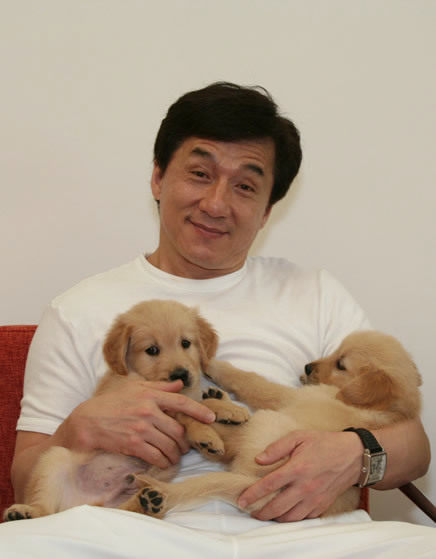 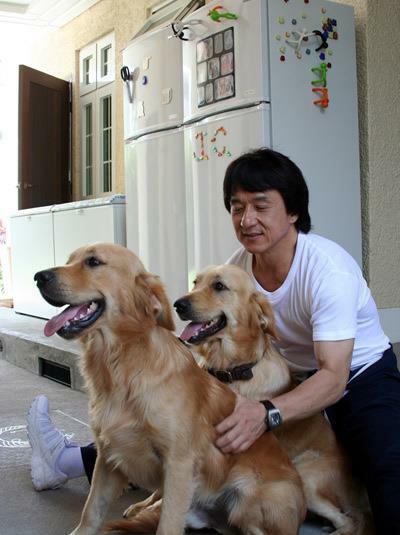 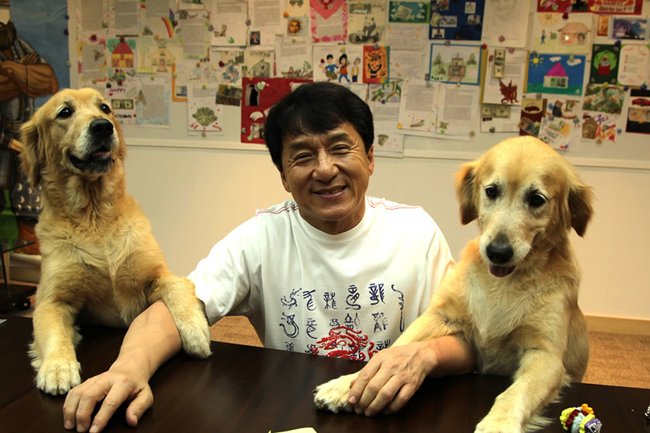 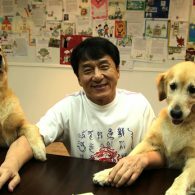 During his campaigns, Jackie decided to adopt 2 Golden Retrievers of his own and name them Jones and JJ. 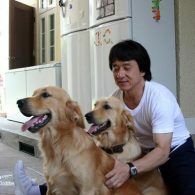 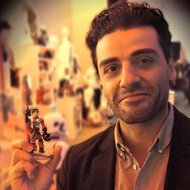 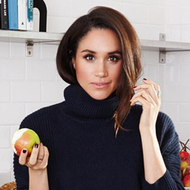 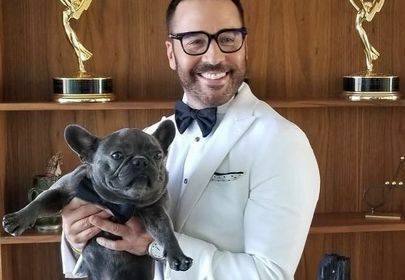 While we would we would like to tell you about the lavish lifestyle of his 2 companions, Jackie lives a surprisingly simple life despite being a $350+ millionaire with private jets. 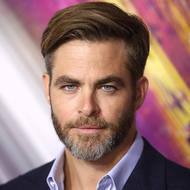 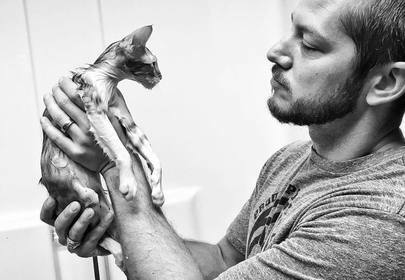 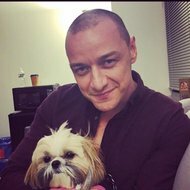 He is best known for publicly stating that his children will be receive none of his vast fortune so Jones and JJ could be in luck if they outlive the modest action star. 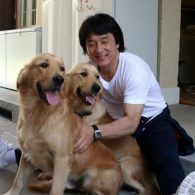 Chan Kong-sang professional known as Jackie Chan, born April 7, 1954, is a professional martial artist, actor, stuntman, director, producer, and singer. 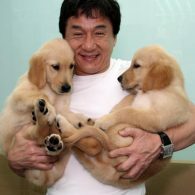 Jackie rose to fame in China through his acrobatic martial arts style in movies where he is known to play his own stunts. 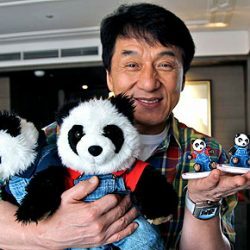 He is a cultural icon and he has received stars on the Hong Kong Avenue of Stars and the Hollywood Walk of Fame, Jackie is also a serious campaigner for humane treatment of animals and in 2015, Forbes magazine estimated his net worth to be $350 million.